I'm actually posting another Technique Thursday. 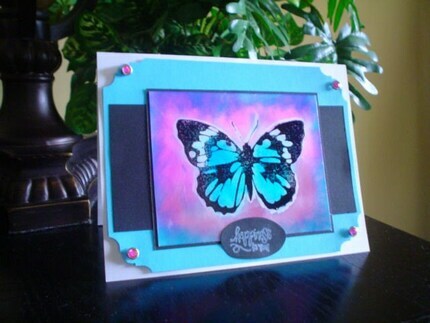 The card below (it's listed in my shop) was made with a technique called crayon resist. Using glossy paper and a white crayon, you can really make images pop! I had fun with this. Tutorials on this cool technique can be found at splitcoast stampers and hero arts.